WITH OVER TWENTY FIVE YEARS OF EXPERIENCE HAS DEDICATED TIME AND EFFORT INTO MOLDING HIS STUDENTS TO BE THE BEST MARTIAL ARTISTS. 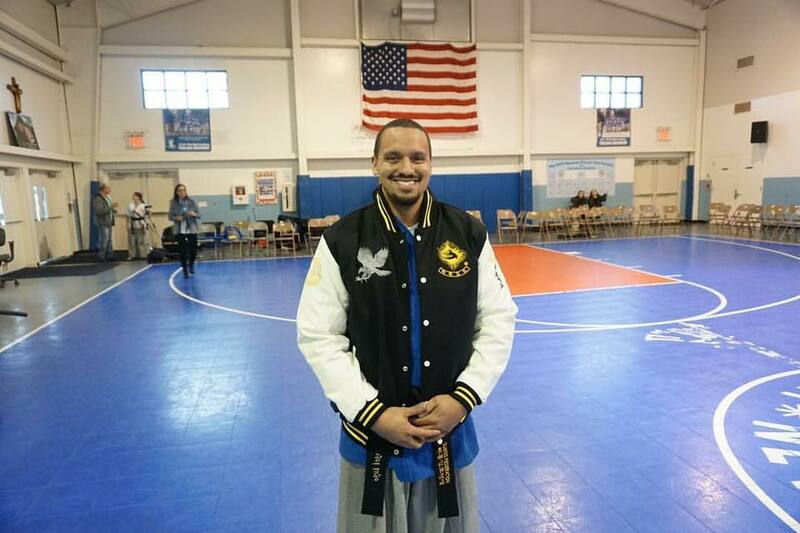 HE IS A CERTIFIED INSTRUCTOR UNDER THE PAN-AM TAE KWON DO FEDERATION AND THE WORLD HAIDONG GUMDO ASSOCIATION. BEING A CERTIFIED INSTRUCTOR HE ALSO COMPETES IN THE NATIONAL AND WORLD CIRCUIT. Sparring: State Champion, National Champion, and Overall Grand Champion. Forms: 2017 Triple Crown Champion. State Champion, National Champion, and Overall Grand Champion. Naska Sparring World Champion: 2017, 2012 and 2013. Naska Korean Forms Top Ten Winner. He has also been inducted to the 2006, 2007, 2010, 2011, 2012, 2013, and 2014 Hall of Fame as the Male Adult Black Belt Competitor of the Year. Inducted into the 2015 Ocean State Grand National Hall of Fame. KwanJangNim Lugo has obtained his B.A. in Computer Information Systems. He is certified under the Pan American Tae Kwon Do Federation to Instruct the ITF and WTF Tae Kwon Do. Currently he is a 5th Dan in ITF Tae Kwon Do and a 3rd Dan in WTF Tae Kwon Do, KwanJangNim Lugo is also certified to teach Haidong Gumdo (Korean Sword) under the World Haidong Gumdo Association. He is currently a 4th Dan is Haidong Gumdo.